There are times when the App Store, Apple's app store, surprises us with things that leave a great aftertaste. One of them may be that some leading application becomes free , as is the case that concerns us today. And this is the case of Vectonator Pro, a highly appreciated vector design application , with very positive evaluations that will delight those who love drawing and design. It costs more than 7 euros and is free, and without integrated purchases! And being an app with professional features does not mean that it is difficult to use, at all. Its intuitive nature makes it ideal for you to go self-learning at the same time you use it, although advanced users will not be hindered by this. You must take into account that Vectornator Pro works only on 64-bit devices, and that you are lucky enough to enjoy it in versions for iPhone and iPad . There are two very favorable points, we can use it with the Apple Pencil and with any external keyboard , without a doubt this app only provides advantages. And that's not all, you can always have your projects at hand without having to save them on your device , because it integrates perfectly with the cloud service of iCloud . What else do you want? 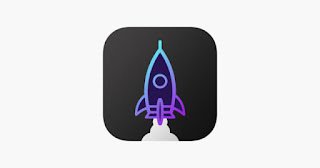 There is no doubt that having free Vectonator Pro is a huge piece of news, especially when just a week ago the Sketckbook drawing app also became free , just as we announced . So do not wait any longer, go to the App Store and download Vectonator Pro for iPhone and iPad. Remember that if you download and for any reason you delete it, it will stay free forever. Do not forget to follow us here and in our profiles of the Facebook and Twitter networks , so you do not miss out on the Apple universe.